Why Devdan Show at Bali Nusa Dua Theatre is special ? Devdan Show is contemporary dance performance inspired by the Indonesia's most amazing heritage. State-of-the-art lighting system, a center stage with a turnaround table and a pool, captivating scores, and beautiful choreography (with acrobatics and aerial dance) and costumes are elements that make the show grand. The word DEVDAN comes from Sanskrit 'Deva' and 'Dhana', meaning "God's Grace". The Indonesia's treasures are God's gifts for Indonesian people. Take a journey through Indonesia's kaleidoscope of cultures as you watch 'Devdan - Treasure of the Archipelago,' a spectacular 90-minute performance celebrating the country's unique traditions. What to explore at Devdan Show at Bali Nusa Dua Theatre? The show opens with a group of tourists entering an Ubud forest with their chatty Balinese tourist guide. Two little children from the group get tired of following and decide to explore the forest by themselves. They go deeper in the wilderness where they discover a treasure chest. As they open the chest, they find five artifacts from five different parts of Indonesia that open their eyes and bring them to get to know to these different cultures: BALI, SUMATRA, JAVA, BORNEO, and PAPUA. Layer by layer, the audience is taken to discover the treasure of the archipelago. How to get to Devdan Show at Bali Nusa Dua Theatre? 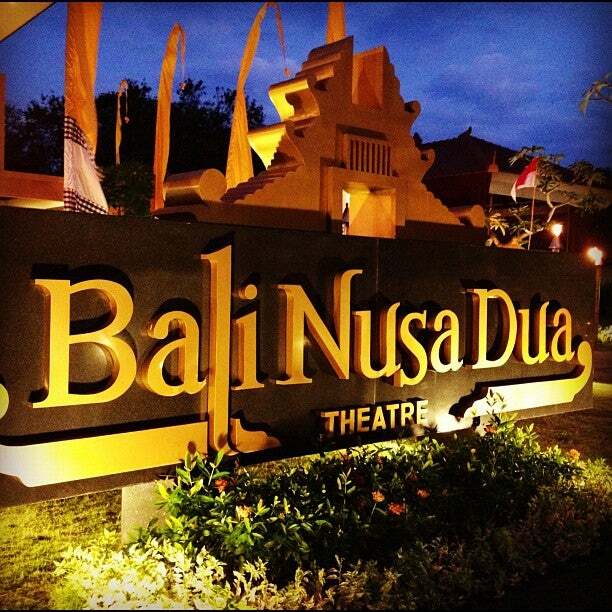 Devdan Show is performed at Bali Nusa Dua Theatre, a short walk from famous Nusa Dua Beach. You can take a taxi to get there. For your best seat, reservations can be made three (3) months in advance. DEVDAN performs 4 days a week at Bali Nusa Dua Theatre (Monday, Wednesday, Friday, Saturday). In the area there are excellent restaurants, hotels and shops. The shops are perfect for the traveller who doesn't want to haggle on costs. There are opportunities during the performance for audience members, including children, to interact with stage members as they sing and dance along. You should check online as there are deals websites offering good promotions. Fabulous night from start to finish.Situated right next to Bali Collection.Our tickets were purchased on line,we chose the wing seating at a cost of AU$52.There are other places to sit,in the stalls,centre,rear and so on.Those cost somewhat more but I don't think I was at any disadvantage in the wing area.However,the bonus by paying more is you get a free pick up/drop off.The whole show is amazing.Sound,lighting,dancing from various zones including Bali,magic,storyline ,acrobats.......outstanding.The seating is most comfortable and not cramped.During the show there are 2 screens below stage level that inform you of the events taking place,in multiple languages.No food or drink allowed inside the show area.Also no photo or video allowed BUT towards the end they will allow that so be ready.on entry you will be photographed with a green screen background.This is so your image can be superimposed onto a souviner for purchase as you leave.Price is AU$12 for a nice job they do.If your quick the dancers will appear for free photos with them.They don't hang around long so do that asap.The show lasts 90 minutes,no interval.A must do in Nusa Dua. Excellent performance, they interacted with audience so guarantee you will not boring at all..and don't miss the aerial dance.. The best show ever in bali..